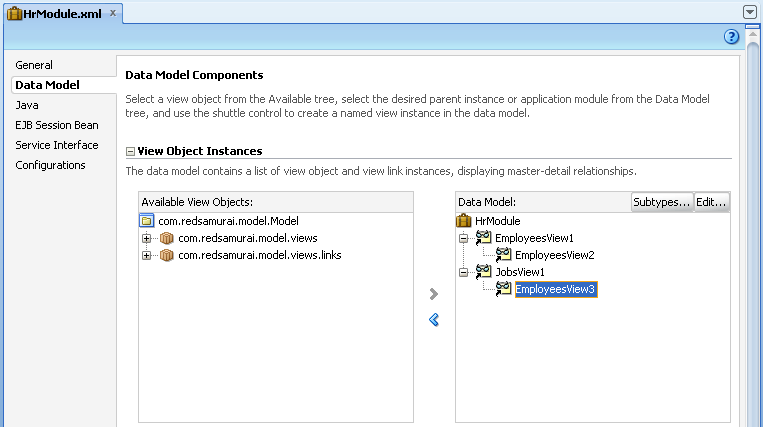 View Link Accessor is available when there is View Link defined and typically is used in ADF to retrieve detail collection from master row in VO row implementation class. Officially this is recommended approach to retrieve detail collections programmatically. However, not everything what is recommended is always good from performance point of view. Its always good to question recommended best practices and compare with other possible solutions to achieve better performance. However, when focusing on performance - don't forget to keep your solution still maintainable and don't over complicate things. In this post I will show you there is one additional SQL select executed, when using View Link accessor - looks like data is not retrieved from the cache by default, even if detail rowset is loaded already. Alternative solution with better performance will be presented as well - directly using detail VO instance from AM data model. 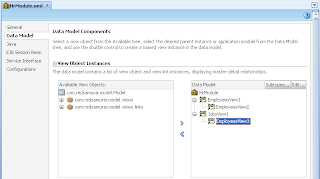 Download sample application - ViewLinkAccessorApp.zip.